Send your very best wishes with Twice the Treat. Offering something for everyone, this hamper is overflowing with fresh seasonal fruit and combined with a wrapped box of gourmet chocolates. Displayed in a seagrass tray. 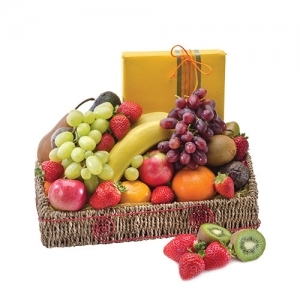 They will love this considerate and colourful delivery.